This entry was posted on Wednesday, May 9th, 2012 at 9:39 AM and is filed under Uncategorized. You can follow any responses to this entry through the RSS 2.0 feed. Both comments and pings are currently closed. I can’t waith to listen to the interview. Have a great time! I know that’s going to be a great interview! LED home lighting – hry, what happened to my watt? 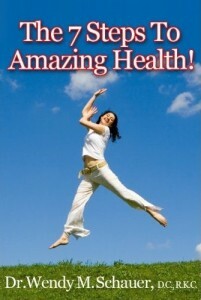 Looking forward to hearing more from Dr. Wendy and the amazing health interview with Jim Edwards. Thanks for sharing so many powerful resources with us. The boomer generation and even now the After 40 year old GenX ers are all very interested in having vitality and health for their whole lives. It’s a huge industry in Los Angeles and Orange County in Southern California. Looking forward to hearing Wendy’s interview! When will you post it here??? That is such exciting News! Can’t Wait to hear the interview! Would you like to stop feeling guilty about caregiving? This should be worth reading or watching. Looking forward to it. I am ready for the interview! Great gig! I know this will be a good interview. Looking forward to it. and she’s got great “hops”! I have heard a lot about that book and look forward to getting in soon. Any tickets left for the front row seats. Congratulations! That interview will be well received, I know! I’ve heard of Dr. Wendy Schauer and I’ve heard she’s great. This interview promises to be awesome. I can’t wait to read it! Will you record and post the interview here? Thanks, it has been several years since I took one of Jim’s Courses … I may do so (price is right) and appreciate you bringing this to my attention. When is/was the Interview scheduled? Did schedule change? The best antidote for growing old to read Wendy´s books. I know how difficult it is to arrange these things when you must both be very busy. Hope you can get it on soon. I have always found your site contains great and useful information and now, as I know you carry a product named “The Pain Wizard” I feel a new rapport with it. Looking forward to the interview and to reading the book! Jim is one interesting “character” … I am interest in what he will have to say. The post says “today” as the targeted date of the interview … when is/was today? Checking in, today, to see status of the Interview. I hope you have Affiliate status with Jim … I purchased a couple of things through your embeded link.